both nice twins. . Wallpaper and background images in the Liv and Maddie club tagged: photo. 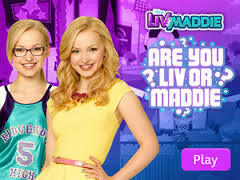 This Liv and Maddie photo might contain attractivité, appel, hotness, attrait, chaleur, nuisette, shimmy, changement, glisser, nounours, chemise, slip, teddy, déplacement, and glissement.